The Chromecast HDMI Streaming Media Player from Google is an innovative device that lets you watch online content such as movies and TV shows right on your HDTV. This media player will be up and running within minutes out of the box. Just plug it into the HDMI port of your TV and let it connect to your WiFi home network. Once done, you are free to stream content from your smartphone, iPhone, iPad, and Chrome for Mac, and Chrome for Windows. You can access sites such as YouTube, Hulu Plus, Netflix, and many more to enjoy movies and TV shows with your whole family. This media player does not require a separate remote control. The device from which you are streaming the media can be used for controlling the playback, volume, and other parameters. The Chromecast is a wireless media streaming device that can be plugged into the HDMI port of your HDTV to stream content to it from a smartphone, laptop, or tablet. You just need a simple mobile app to set it up. 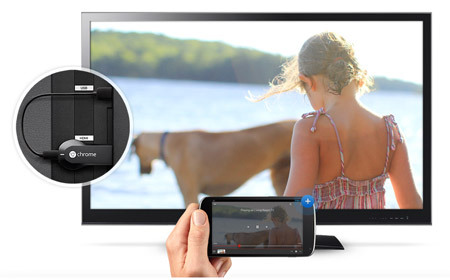 You can control media streaming of the Chromecast using the gadgets that are already with you. When using your smartphone, iPhone, iPad, and Chrome (For Mac and Windows), you can efficiently search for content to watch, control the playback, and lower or raise the volume. It does not require a remote control to me operated. 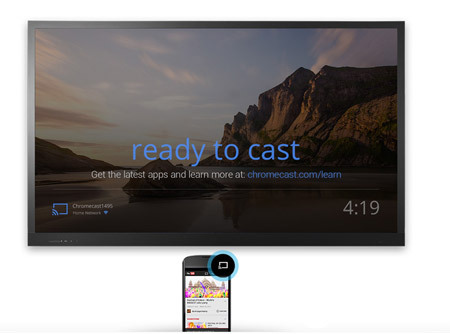 You can watch the latest movies, and popular TV shows online with your entire family with the Chromecast. 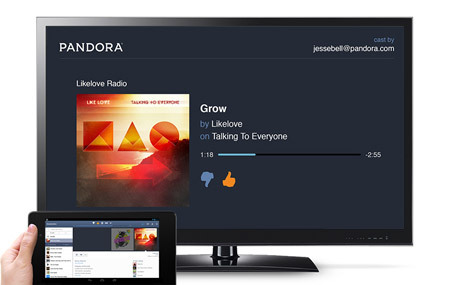 Once connected to your HDTV, you can stream content from YouTube, Hulu Plus, Netflix, Google Play Movies and Music, and Chrome. 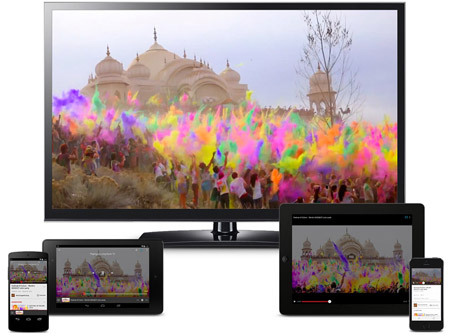 The Chromecast is your ticket to big screen entertainment. It automatically updates itself to work with the growing number of apps. Setting up the Chromecast is fairly easy. All you have to do is plug it into your HDTV, let it access the WiFi network, and you are good to go. Now you can freely send videos and movies from your smartphone or tablet.